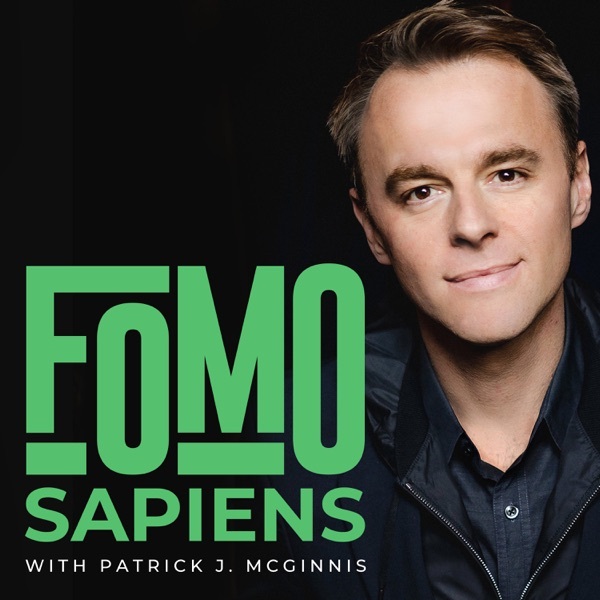 Patrick J. McGinnis, creator of the term FOMO (Fear of Missing Out), talks to leaders in business, entrepreneurship, politics, and culture. How do they choose from among the many opportunities in their busy lives and find the courage to miss out on the the rest? Patrick is the author of "The 10% Entrepreneur." Shan-Lyn Ma, CEO of the wedding e-commerce company Zola, and Anu Duggal, cofounder of Female Founders Fund, talk fundraising, venture capital, and how women are driving diversity in the world of start-ups. The views expressed on this podcast are those of its hosts, guests, and callers, and not those of Harvard Business Review. U.S. presidential candidate Andrew Yang explains how he’s running his campaign like an entrepreneur and how his plan for Universal Basic Income might just be the viral product he needs to win it all. The views expressed on this podcast are those of its hosts, guests, and callers, and not those of Harvard Business Review. Despite our lofty intellects, decision-making is one of the biggest challenges to humans. Cheryl Einhorn shares the process that led to developing AREA, a strategic tool used by some of the most powerful organizations in the world, and why our increasingly complex modern world demands better decisions. FOMO Sapiens’ youngest guest, Diego Gonzalez, shares his triumphs, failures, and learnings from his problem-solving ventures born of hackathons: StudentPeer, a peer-to-peer tutoring client, and a novel use of the diagnostic tool Microlisa as an affordable, low-friction lung cancer screening tool. He shows us that while FOMO knows no age limits, neither does entrepreneurship. The views expressed on this podcast are those of its hosts, guests, and callers, and not those of Harvard Business Review. What makes a hit? Jacob Fain of Sony/ATV Music Publishing knows that the path from creative genius to creative success is rarely a straight line. Jacob shares the thoughts, processes, and tools that a music A&R uses to bring the next big thing to the world. The views expressed on this podcast are those of its hosts, guests, and callers, and not those of Harvard Business Review. Vana Koutsomitis is in the business of relationships, and she knows that "fun" brings people together the best. She’s the CEO of DatePlay, where romantic matches meet by playing mobile games together, creator of VinoByVana wines, and a branding and marketing strategist. Vana talks about how to turn social influence into startup success. The views expressed on this podcast are those of its hosts, guests, and callers, and not those of Harvard Business Review. From the seismic impact of millennials on the market to the rise of Trump and the first article about FOMO, Ben Schreckinger has written about the intersection of politics, culture, and the economy for years.Ben dons his journalist hat and turns the tables, interviewing me about the history and future of FOMO and FOBO. Rip Van Wafels co-founders Rip Pruisken and Marco de Leon started their company in a dorm room at Brown University, primarily serving their products to college students. Those products are now sold in thousands of Starbucks and are a favorite snack in Silicon Valley tech companies. The views expressed on this podcast are those of its hosts, guests, and callers, and not those of Harvard Business Review. Kate Eberle Walker, education executive and former CEO of The Princeton Review, breaks down the FOMO- and FOBO-provoking experience of choosing a college. The views expressed on this podcast are those of its hosts, guests, and callers, and not those of Harvard Business Review. Craig Dubitsky, the nice guy behind disruptors Hello Products, an oral care brand, and EOS, the lip balm maker, knows that building a brand around positivity doesn't just give you warm fuzzies -- it gives you breakout success. The views expressed on this podcast are those of its hosts, guests, and callers, and not those of Harvard Business Review. Sisun Lee, the founder of Morning Recovery, a hangover prevention company, shares his story behind one of 2018's most spectacular breakout startups. Forward Majority's Vicky Hausman leverages her organizational knowledge to heal our democratic process. The views expressed on this podcast are those of its hosts, guests, and callers, and not those of Harvard Business Review. As the founder of the clothing brand Rowing Blazers, Jack L. Carlson knows that popular fashion continues to evolve. Find out how he built a worldwide brand that blurs genres and creates its own influencers. The author of "Hooked" and the blog, NirandFar, Nir Eyal’s passion for consumer psychology has a particular focus: how technology can attract, motivate, and even addict us. Nir tells us how we can master habits to send a powerful message and improve our own process. The views expressed on this podcast are those of its hosts, guests, and callers, and not those of Harvard Business Review. Dorie Clark is passionate about the art and science of personal entrepreneurship -- she writes, speaks, teaches, and lives it. The personal branding expert talks about the emotional jumps you need to take when you are the product. The views expressed on this podcast are those of its hosts, guests, and callers, and not those of Harvard Business Review. You probably already know MarketSnacks, the newsletter about Wall Street that makes financial news fun, accessible, and bite-sized. But did you know that its co-founders Jack Kramer and Nick Martell began MarketSnacks as a 10%? The views expressed on this podcast are those of its hosts, guests, and callers, and not those of Harvard Business Review. Media executive Sally Wolf was diagnosed with cancer three times in the course of two years. In this episode of FOMO Sapiens, she talks about how life’s unexpected twists and turns can change your priorities, refocus your energy, and maybe even offer a lifelong cure for FOMO. The views expressed on this podcast are those of its hosts, guests, and callers, and not those of Harvard Business Review. Social media expert Ryan Williams, author of The "Influencer Economy," kicks off FOMO Sapiens by exploring how influencers really drive social media marketing, how they're used to manipulate consumer behavior, and how you can harness this powerful tool to drive early adoption and sales. The views expressed on this podcast are those of its hosts, guests, and callers, and not those of Harvard Business Review.